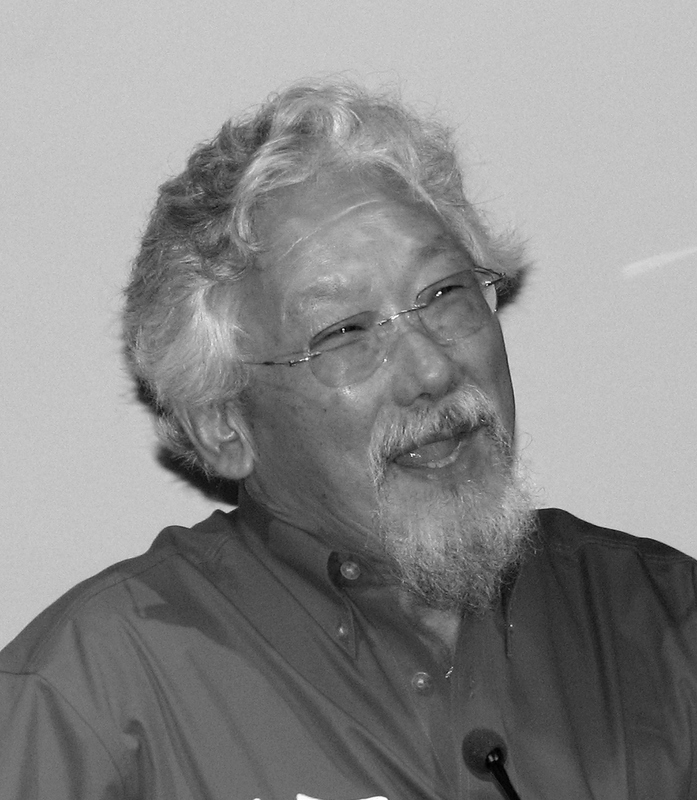 A standing ovation typically indicates an exceptional performance; in Halifax, renowned environmentalist David Suzuki only had to take the stage. Suzuki’s tour of the Atlantic provinces started on a strong note this past Friday, Nov. 22, where he spoke to a sold out crowd of over 700 at the Spatz Theatre. The tour, “Climate Change and Energy in Atlantic Canada,” was developed to showcase and premiere Mount Allison professor Ian Mauro’s latest documentary, “Climate Change in Atlantic Canada.” Mauro’s previous films on environmental issues led to a connection with Suzuki, and after hearing about the project, Suzuki saw an excellent opportunity. Mauro’s film demonstrates the effects of climate change on a local, regional and global scale. The message is one strongly supported by the Ecology Action Centre (EAC), a local environmental group who organized the Halifax event. “It’s not just a large-scale thing, it is something that is very relatable that is affecting us, it is right here in our backyards,” said Ryan O’Quinn, membership coordinator for the EAC. With ongoing projects on several environmental issues, O’Quinn described the partnership for the film as both a “natural and a perfect fit. The event attracted a number of Dalhousie students. Rebecca Sewell and Tristan Willis, Dal law students, are also executives of the Environmental Law Student Society. Audience members were also treated to a number of displays, in hopes of providing an opportunity for people to translate their interest into action. Among these groups were representatives from Divest Dalhousie, which aims to end university investments in fossil fuel industries. “Students have shown that they are really concerned about Dal’s holdings in the fossil fuel industry,” said Evelien VanderKloet, a masters candidate in Dal’s Resource and Environmental Management Program. It is through increased involvement in groups like these that the David Suzuki Foundation hopes the tour will leave a lasting impact, as opposed to only being a discussion. “A success would be more people than before becoming engaged in those issues, and actively partnering with local environmental groups, or actually starting their own initiatives,” said Toussaint. If community support is required, the more than 700 audience members made it clear with their presence that there is a willing environmental movement in Halifax. With tickets selling out in only six days, the initial stop of the tour set a high standard for the events to follow.